I'm a firm believer that a healthy cart can help you live a healthy life. But, man, it can be tough to do! Grocery stores are designed to get you to purchase more food, often food you don't want or food you weren't planning to get. One minute you're snagging apples, the next you've mindlessly added Oreos to the cart. Like, what?! I didn't even want them! Mindless shopping like this hurts your pocketbook and your health. So, the best piece of advice is to PLAN YOUR GROCERY TRIP and stick to it like it is the Bible. With that in mind, I've put together a list of what I stock my kitchen with. Hopefully, this can help you keep your cart clean! Or maybe give you the inspiration to buy something new! Think twice before joining the club. I’ll admit it. Until very recently, I had been a card-carrying member of the clean-plate club. A prestigious affiliation? Hardly. A unique one? Definitely not. Yet, at each meal I ignored cues from my body and instead took direction from the food on my plate. The mission was simple: Eat until it is gone. This relationship with food is hardly unique—most millennials I know are reluctant to leave even a scrap of food on their plate. In fact, a study published in the International Journal of Obesity found that adults eat 92% of the food on their plate regardless of their level of satiety—what I’d call “fullness”. Interestingly, though, children only ate about 60% of the food on their plate. We’ll get to that later. We’ve been taught that it is disrespectful not to finish a meal. That we won’t grow “big and strong” unless we finish every bite of food on our plate. Well, our parents weren’t necessarily wrong. We did grow big. In fact, a recent study noted that millennials are the most obese generation since record keeping on obesity began. Blame for our skyrocketing obesity rate cannot be rested solely the clean-plate club, but its impact on our collective psyche cannot be understated. We’ve grown up either feeling guilty about not finishing a meal, or we’ve been programed to mindlessly eat until no food remains. But therein lies the problem—we’ve defined finishing with the total consumption of every item on the plate. So, let’s start there and redefine what it means to be finished. Ready? Eat until your hunger is gone, not until the food vanished from your plate. Kids do a remarkable job of this. When an infant or toddler decides they are full, they stop eating. No questions asked. You cannot force another bite or it will end up dripping down the front of their little onesie. They will straight up SPIT IT OUT. And you know what? I applaud them. Kids eat about 60% of the food on their plate while we almost universally clean ours. In this case, youth is on their side. Children are better at listening to their innate “hunger cues” because their relationship with food hasn’t yet been corrupted. Once upon a time, every one of us shared this ability to mind our innate cues. But when we enter the clean plate club, we lose touch with this natural ability. When we join the clean plate club, and force our kids to do the same, we end up creating an unhealthy relationship with food that needs to be corrected later in life. So how can we change this mentality and finally quit the clean-plate club? I’ve got a few suggestions. 1. Mind your portion size: One of the first steps is to stop overloading your plate. The National Institute of Health has a great tool to help you build intuition on the correct portion sizes. It isn’t about obsessing over numbers, but rather to help you learn to listen to your body rather than relying on visual indicators. You might notice that you have more leftovers. That is ok! You’ll learn to adjust over time, and you’ll get better at grocery shopping. But we have to start somewhere! We will be eating food for the rest of our lives, let’s start nurturing a healthy relationship. 2. Intentionally leave food on the plate: We need to rewire your brain to make decisions on internal cues rather than external ones. We want your stomach and brain to tell you when you’ve finished, not the visual cue of a clean plate. Do this gradually—leaving a bit more food on the plate as weeks go by. And by-the-way, this doesn’t mean waste food. Start getting used to keeping leftovers, even if it’s a bite or two. 3. Think while you eat: I mean this in a couple of ways. First, eat with someone else and have a conversation. The study in the International Journal of Obesity suggests that distracted eaters are inherently more intuitive, and are more comfortable leaving food on the plate. If you’re dining alone, maybe listen to a podcast. Keep your brain busy so it isn’t laser-focused on clearing the plate. Secondly, use your brain to check-in with your body. Be mindful of the emotions you’re are feeling, and dismiss them if you need to. Use your brain to listen to your body. You will know when you’re no longer hungry. That is when you should stop eating! It isn’t easy, but we’ve got to put an end to the clean-plate club. With these tips, you’ll be well on your way! If you need a little extra help, feel free to sign up for my 4-week nutritional counseling services where we go over more topics on intuitive eating and how to set yourself up with a good relationship with food. I just finished reading 'Eating on the Wild Side' by Jo Robinson. In this book, Jo discusses how modern day fruits and vegetables are considerably less nutritious than their wild ancestors. She offers tips on how to seek out fruits and vegetables (whether growing your own, frequenting a farmer's market or simply shopping in your standard grocery store) with the most phytonutrients. I've summarized a few of her tips here below. One easy way to identify the produce with higher phytonutrient and antioxidant content is to look at the color. Deep reds, vibrant purples, vivid greens, bright oranges, and even some stark whites are great indications that loads of nutrients are present inside! Which color is most valuable? Purple, blue and red take the lead, hands down! Green is #2! I'm trying to upgrade some non-purple foods in my life. For example, buying purple carrots over orange and swapping kidney beans and black beans for chickpeas. These simple switches can increase your phytonutrient intake by leaps and bounds! Bigger is not always better. Jo also touches on size of foods. She mentions that the wild ancestors of the produce we eat today were much smaller! Almost all types of produce have evolved to get bigger, sweeter, and as a result less nutrient dense. The bigger fruit is the least nutritious because of the high water content that dilutes these nutrients - think melons. Smaller fruits and veggies: berries, cherries, grapes, etc. pack more nutrients! Wild produce may offer more nutrition than 'perfect' produce and often it is much cheaper because it is picked over by the masses. Check out the Imperfect Produce movement here. At the end of the day, more produce is better than no produce. Eat as much fruits and vegetables as you can. Eat a variety! Don't stress out by trying to follow these tips! On the whole, I'd say our problem isn't that we are eating fruits and vegetables that now happen to be grown with lower nutrient content.... our problem, today, is that we aren't eating enough fruits and vegetables. More people are eating fast food, processed snacks, candy and soda than products grown from the ground. So eat your produce! Add veggies and fruits to every meal. And eat the rainbow! And if you want to make a simple swap to increase your phytonutrient content, now you know how. But don't stress! Memorial Day weekend dips our toes into Summer. It is a weekend to celebrate our armed forces, family and friends. What better way to launch into Summer than through a barbecue? But food centric holidays--aka the BEST holidays--don't need to be full of gut-busting food. If you've got holiday plans, check out these 5 recipes guaranteed to please a crowd and preserve that summer bod! The following are some of the best party favorites that are perfect to serve at a Memorial Day bash! Serve along with Beyond Meat burgers, a homemade veggie tray with hummus, fresh watermelon, and you have yourself a complete spread! While I try to live by a fairly minimalist approach in all aspects of life, including cooking (utilizing natural produce and straight forward methods to achieve simple and delicious meals) there are a few kitchen gadgets that I cannot live without. Luckily, these are the sorts of things you are gifted for a wedding, and we were very fortunate to receive almost everything on our registry. So I never feel lacking in the kitchen supplies (Thank you Crate & Barrel!). It's no secret that I am obsessed with salty, savory food. I would much rather eat a bowl of popcorn than ice cream any day. I do not have a sweet tooth! When I want a late night snack, this air popper saves the day! I buy organic corn kernels from Trader Joe's. (I swear a huge bag is like less than $2 and it lasts me at least 6 months.) I store the kernels in a large mason jar and pour a 1/4 cup into the air popper when I'm ready to snack! As the popcorn is popped, I spray on a bit of olive oil spray (or water!) and toss with nutritional yeast, paprika, or lemon pepper! Now I know this price tag is ridiculous, and I do not think it is reasonable to drop $600 on a gadget... However, I use this tool EVERY DANG DAY! Sometimes, more than twice a day!!! I'm serious! Every morning starts with a giant smoothie for Anthony, and I use this to make nut milk every week! Not to mention, it is essential to make our beloved cheez sauce. If you have been thinking about making the purchase, I highly recommend you do! You're life will be changed forever! Speaking of nut milk, this nut milk bag changes the game! Making your own nut milk not only saves you money, but it saves you from all those nasty additives that are completely unnecessary! Did you know that the only ingredient required in nut milk is NUTS! That's it. You don't need any 'guar gum', 'carageenan', 'xantham gum', or 'sunflower lecithin'. Try making your own nut milk by following my nut milk recipe here! All you will need is a good blender (see above) and a nut milk bag! You can get 10% off your entire cart at Ellie's Best by entering code 'KristenCarli' at checkout! If you don't have a food processor, I would really recommend investing in one. You cannot always use the Vitamix for everything. Ideal for making dips, dressings, spreads, and sauces, this tool is used frequently in our house: see Dips, Sauces, Spreads for inspiration. To see more of my favorite products, including beauty and home, check out my Products I Love page. We know that plant-based eating can be amazing for our health, and while it may feel unattainable in so many aspects (I know that the journey is not always easy or immediate...) - fortunately you do not have to worry about high $ spending! A common myth is that plant-based eating is super expensive.... when actually it is one of the most affordable ways to eat! The base of these meals are composed of grains and legumes, which happen to be extremely affordable (not to mention nutritious!). You can find a large bag of dried pinto beans or uncooked rice for $1 and they last for several meals. I recently completed the #SNAPChallenge. SNAP (Supplemental Nutrition Assistance Program or previously known as the food stamp program) provides financial support for low-income families to purchase food. While this is needed and welcomed, it is still very difficult to get a meal on the table for $4.50 per person per day. Being plant-based, I knew that I would have more success with this challenge than others, because I did not have to account for the high costs of meat or dairy products. And while still a large undertaking, I felt like I could stick to this budget. Here is what I chose to eat during the challenge! Do you meal prep? Meal prepping is all the rage right now. And rightly so. This simple practice can be a huge help in adhering to a healthy lifestyle. I know that this has worked for me and my busy schedule, and I am confident it will help you as well. With a little work up-front, you’re on your way to greatness. On weeks that I have meal-prepped, I can quickly grab something portable, yummy, and nutritious from the fridge with minimal prep work, making my lunch life much easier. It is all ready to go and easy to pack. Talk about a money saver too! Combine all elements to make a multitude of meals on the fly! The base of most of my meals include grains. Batch cooking over the weekend saves me time during the week! Have you received my 'Grain Bowl 101' ebook? 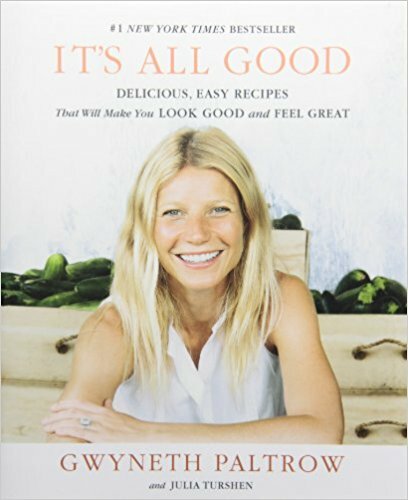 In it, I explain how to cook every type of grain. Click here to download it for FREE. I try to avoid plastic to limit BPA and to be more sustainable. I feel guilty throwing out countless plastic bags every week. These Stasher bags are great reusable bags for packing snacks! A few years ago, I dumped all my plastic storage and upgraded to glass. It's a bit of an investment at first (depending on how much storage you need), but I do not regret it! Any veg can be chopped, drizzled with olive oil + salt + pepper, and roast at 400 degrees for 20-40 min. Squash, cauliflower, brussel sprouts, sweet potatoes, broccoli, etc... Use any veg you love! Having these prepped in the fridge allows you to easily toss into pasta dishes or add to tortillas and salsa for tacos! Washing all your greens at the start of the week makes it easy for you to make a salad at the drop of a hat! I also love to challenge myself to add a handful of spinach to every meal. It is surprisingly easy! Spinach has such a mild flavor that it works in most dishes. Try it in pasta, smoothies, omelettes, oatmeal, grain bowls, pizzas, soups, etc! I love bell peppers, mushrooms, celery and carrots! I love pineapple, grapes, and berries! I've said this before and I'll say it again... "your grain bowl is only as good as your sauce". I like prepping a few sauces and dressings at the beginning of the week to easily dollop on any dish. See my 5 Go To Sauces here and my Walnut Basil Pesto here. I like getting a batch of sprouts growing at the beginning of the week. I use this jar lid and these seeds. Start by soaking 1.5 tablespoons of seeds in water for 8-12 hours. Then drain and rinse twice a day for the next 3-4 days. That's it! No green thumb required. I stock up on a lot of lemons (about a dozen) every week! I toss slices in my water, squeeze them on salads, and use the juice with olive oil to toss with pasta. If I am meal prepping on a Sunday, I set up nuts in water to soak Saturday night. I like to make my own nut milk in order to save money, but also to avoid the unnecessary ingredients that are often included in store-bought versions. Get my Any Nut Milk recipe here. You'll need a nut milk bag - I love this one (Get 10% off your entire cart when you use code 'KristenCarli') ! Have you tried the Non-Dairy Cheez sauce yet? This sauce is so versatile that you can prep it over the weekend and eat it all week long: in burritos, as mac + cheez, on nachos, in Taco Pasta, or as a dip! Set up another bowl of 1/4 cup of cashews to soak and you can prep this as well! For quick easy lunches, I like to marinate some tofu slices in the fridge to prep for Tofu BLTs. Get my marinade recipe and my Tofu BLT recipe here. We love making our own bread! Read my post on why here. Click here for a Fail-Proof No Knead Loaf recipe. I like to eat snacks that are both quick to grab as well as ‘whole foods’. While I love cooking the big three meals (breakfast, lunch and dinner), I don’t often have time to put together elaborate snack dishes. So, I need to be able to find ready-to-eat-food, pack it up in a Stasher bag or glass storage containers, and head out the door. All these snacks are good for you and lack the unnecessary ‘junk’ ingredients found in most common snack foods. They have an abundance of antioxidants, vitamins, and minerals to keep you healthy and satisfied in between meals. Nothing better than that! 1) Don’t do it all at once. Whatever it is… be gentle with yourself and recognize that this could be drastic change for you. Any change is good change! Baby steps are totally acceptable! Instead of thinking about what you are giving up, think about all you are gaining! Adopting a plant-based diet isn’t just about limiting animal products from your plate. It’s about welcoming in more fruits and vegetables. Endless amounts of ALL fruits and veg are allowed! The more the merrier! Eating mostly plant-based is INCREDIBLE for your health. The only nutrient you will be lacking is Vitamin B12 because it is not directly available from plants. It is very important to avoid deficiency in B12, so supplementation is essential. I buy these from Trader Joe’s and take 2-3 doses per week. I’m not going to lie to you. It’s not easy to go out to eat when you are plant-based. While more and more restaurants are providing vegetarian/ vegan options, it's not super easy to find plant-based options in mainstream restaurants. If you are going out to eat every now and then, like once a week, it may not be a big deal. This is where I pull my ‘mostly’ card. But if you go out to eat every day for lunch, you may want to start meal-prepping. 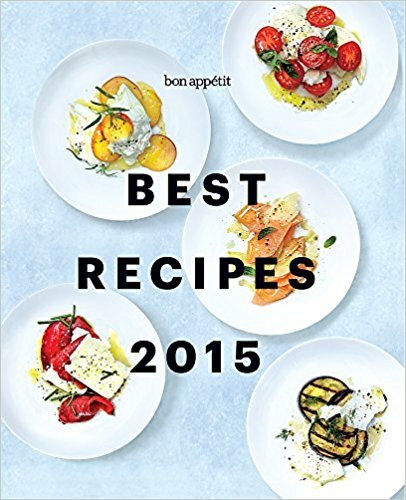 Follow some great food bloggers, invest in some great cookbooks, and experiment! Try new things! New veg, new recipes, new ways to eat the things you already love! You may discover your new favorite meals! Trader Joe’s has my heart! Not only do they have great products but they have great prices! Below are all of my Trader Joe’s items I can't live without! This brown rice & quinoa pasta is a great gluten-free option! I'm not gluten free but I love it as a whole grain option! These acai packets are perfect to pop into my morning smoothie! They are more affordable at Trader Joe's than at other places I've looked. Ahhh... my favorite product ever! I throw this on my avocado toast every morning and don't plan on stopping any time soon. This is my favorite tofu because it is so dense that you DON'T need to press it! If you can't find this tofu, any of their other extra firm tofus will do, but be sure to press before using! These are a great quick pre-cooked plant-based protein option! I plop these lentils into a glass tupperware and eat throughout the week. These 10 minute grain bags are a lifesaver! There is nothing easier. Boil a pot of water, add the grains, and drain after 10 minutes. No measuring water or measuring grains. Not to mention they are SO affordable. This is my favorite tempeh at the moment. I love the nutty grain texture. I quickly saute cubes and toss on my salads for a plant-based protein option. I think these broke the internet when they first dropped! You will find these in the frozen section and the ingredients cannot be beat - just coconut! I throw these in my smoothies and they make the texture super creamy. When I first discovered these I was so obsessed that I almost overdid it. Almost! They are slightly sweet and salty and truly addicting! I always have them with me - make a perfect grab and go snack! I'm super excited Trader Joe's is selling nutritional yeast because now I don't need to stop anywhere else! I use this in the non-dairy cheez sauce and tossed on popcorn. When I first saw oil sprays available, I was really excited because it makes roasting veggies and flavoring popcorn super easy! But then I noticed that most other brands include really strange ingredients and propellants in the ingredients. TJ's has a few types of oil spray (coconut, canola, etc), but this is only one that does not have any weird ingredients in it - just olive oil. It works like a charm! 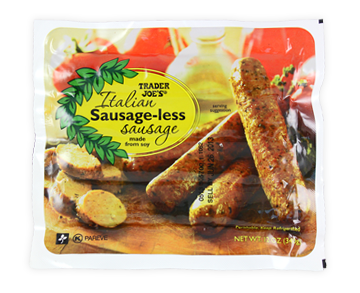 I've tried a lot of Tofurky products and I do not love them as much as I love this TJ's veggie sausage. They are a great option for grilling, but I most often used them sliced and sauteed with pasta dishes! WARNING: they contain egg whites. Is this dressing gone forever? I used to buy this every week and eat with salads, but I have not been able to find it for a while. If you find it in your Trader Joe's, definitely give it a shot! It's a hummus-like dressing that has a ton of flavor! I bring these with me on my long school days! They are addicting! This is good on almost anything! But it is INCREDIBLE on the Mac + Cheez + Peas! I love making my own pesto, but when I don't have time this is a great option! The cashews make it super creamy. I love it stirred into pesto mayo. What is so challenging with nutrition and 'diets' is the all-or-nothing mentality that comes with them. Vegan or Omnivore. Salad or Fast Food. It can seem like there is no in between. Not only is this a lot of pressure to stick to one diet all the time, it is likely not enjoyable nor realistic! And while the phrase "everything in moderation" is good in theory, it is not quantifiable. This can lead to problems. Who is really tallying up their servings at the end of the day? We do not necessarily want everything in moderation, either. We should be eating WAY MORE plant foods than other foods. When it comes to plants, Americans have been suffering from moderating their intake. There's no need! Stuff your face with plants, people! Maybe the perspective needs to be shifted to eat mostly plants. By eating mostly plants at every meal, you are increasing the consumption plants, reaping their many health-promoting and disease-fighting benefits, AND leaving less room on your plate for other bad foods. I stumbled across the below video this morning and I think it is a really good way to think about this concept! Tofu can be intimidating! If you have never cooked with tofu, here is all you need to know. There are several types of tofu: silken, firm, and extra firm. Silken is often used as 'ricotta' or when making creamy 'mayo' based dressings. I exclusively use extra firm! I find that it has the best texture when chopped into cubes and cooked. If you are using tofu, you NEED to press it before marinating and cooking. By pressing, you will remove all of the excess liquid inside, which allows it to crisp up when cooking! While many tofu-pressers are on the market these days, I suggest skipping those and using things you already have around the house. 1) Take block of tofu out of packaging and drain liquid. 3) Cover with a dish towel. 4) Place another baking sheet and heavy books on top. 6) Remove books, baking sheet, and dish towel. The tofu will be sitting in a pool of liquid. Drain. 7) Now you are ready to marinate, chop, and cook your tofu! Bread baking has become quite popular in our home. We have experimented with focaccias, ciabattas, no knead loaves, bread machine loaves... you name it! While it has been a fun learning experience, even a challenge in some cases, this practice serves not only as a hobby, it is a conscious effort to improve our health. Yes, it is 100% easier to buy store-bought bread, especially considering some of the rise times, but do you even know what you are eating? You may think you are buying a 'healthy' loaf, but you probably are not! Traditionally, bread is made using flour, salt, yeast, and water. THAT'S IT! Bread has been made this way across cultures for years. (I recommend watching the Cooked episode 'Air' on Netflix with Michael Pollan) Four ingredients only! Not only does that make bread incredibly affordable to make yourself, but it means you can make 'healthier' bread, free of all the scary unpronounceable ingredients you find in most processed foods. If this interests you, I recommend that you familiarize yourself with some of the scary ingredients found in bread. Naturally Savvy has a few great articles on this. Like this one. And this one. But in summary the main ingredients we are looking for are color additives (caramel color is added to make certain loaves appear 'wheat', therefore 'healthier'. Caramel color has been linked to children behavior problems), high fructose corn syrup (sugar is not needed in bread at all, especially not processed & GMO sugar. Flour has enough starch for yeast to munch on to give your homemade loaf a characteristic rise), bleached flour (ever think about what is used to bleach flour anyway?... chlorine and benzoyl peroxide! ), preservatives (such as polysorbates and calcium propionate, which has been linked to ADHD), and GMOs such as soy lecithin and soybean oil (I recommend watching GMO OMG on Netflix). Seems kind of crazy to add all of that junk when you only need 4 ingredients to make bread! So in an effort to take control over what we put into our bodies, we have decided to bake a loaf or two a week for ourselves! And we are having fun and learning a lot along the way! If you want to get started on baking bread, I recommend you start with this simple fail-proof loaf! Back in 2009, when I first started dipping my toes into plant-based eating, there wasn't a lot of vegan meal inspiration out there. I was blindly navigating the course, trying to make towering plates of vegetables appealing (...my love for veggies runs deep, but I needed some innovation). Few people were vegan (or at least it felt that way) and I was figuring out how to make this way of eating exciting on my own. Over the last 8 years, the plant-based community has grown exponentially and made themselves known. Now with plenty of people on the 'scene', luckily, we have endless dinner ideas to make appetizing meals that will nourish our families. 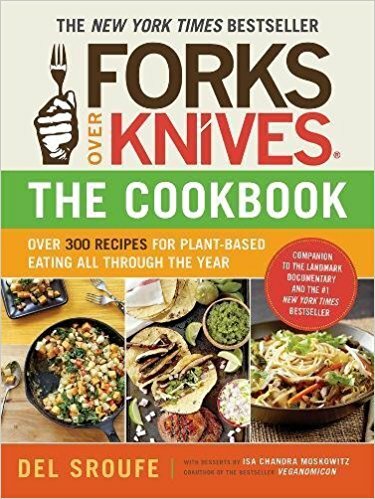 I've compiled a list of my favorite cookbooks; some vegan, some not (read my stance on 'mostly' here). I hope they bring inspiration to your tables, proving that healthy, often plant-based, eating does not need to be boring. I think about food a lot, both in traditional and nontraditional ways. When I wake up in the mornings, breakfast is the first thing on my mind. After a long day, there’s nothing I love more than spending some time in the kitchen to cook dinner. Food brings me balance, it nourishes and supports me. But as a nutrition student, I’m being trained to take my relationship with food to another level, studying the role of certain foods in chronic disease, identifying methods of medical nutrition therapy for future patients and researching how food can make a positive impact for people suffering from illness. Nutrition, the food we eat, is directly correlated with how healthy we are. Many of the leading causes of death in the United States can be prevented, or the symptoms reversed, with good, often plant-based, nutrition. My education has forced me to reexamine how I, and society as a whole, approaches food. I’m somebody who has identified as a vegetarian, a pescatarian, and a vegan at various points in my life. But I’ve started questioning whether these labels are helpful, or perhaps hurtful, in promoting health and good nutrition. So here’s my stance on various “diets” and the labels we put upon ourselves. I am not a vegan. I am human. I eat ‘mostly’ plant-based. I avoid animal products, and my plate abounds with fresh produce. I do this because I love vegetables, and I love what they can do for me. But I also go out to eat at restaurants, dinner parties and family events. It can be tough to have control over the menu in these circumstances. It isn’t worth it for me to pick around a plate that somebody else has graciously prepared for me. I want to enjoy my meal and the company of others without worrying about whether the food in front of me breaks the “rules”. I try to make the best choices I can, but in the most laid-back way possible because I know it is even more important to develop a good, uncomplicated relationship with food. For most, adopting a “diet” or “label” can be a slippery slope into restrictive and disordered eating. By assigning these labels, any lapse in strict adherence to the rules leaves one feeling disappointed and ashamed. And is that what we really want in a relationship? My guess is no. I will forever be an advocate for the plant-based diet, and I will always fill my meals with a bounty of fresh fruits and vegetables. But I am not losing any sleep if, every now and then, animal products make their way onto my plate.